Most often than not, moving into a new home has its own share of enthusiasm, fun, and excitement. Be it your first home that you purchased or you are simply relocating to another rented apartment in your city or another state, it comes with some form of pleasure and joy. Having said these, it should be noted that moving home or household relocation can be extremely tiring and stressful. Reports say a large number of people consider ‘moving homes’ to be the top of their list of life’s most tedious and challenging events. Moving into a new home entail lots of work, but with the availability of some good home moving tips at your disposal, the whole exercise can actually become a smooth one. To make moving or relocating easier for you when you move into a new home, the following are some home moving tips that can help you out. One enviable tip that has proven to work all the time is that the less you move the better for you. It is always better to make all the big purchases when you get to your new home. If you have these items already, you should be prepared to pay some heavy fees. This is because payments for these large items are always based on weight. If you can avoid those heavy purchases before relocating, good luck to you. You will be saving loads of money and eliminating lots of stress as you move homes. Over time, it is very easy to acquire and gather items that you don’t even need. Unfortunately, these items occupy space in our homes. Before relocating, it is therefore expedient to identify and do away with all these items that you don’t need or want. Decide which items are beneficial, and eliminate those you don’t really need. You can do away with them by having a garage sale or simply donating them to charity. Failure to plan has been rightly described as planning to fail. Moving homes require good planning. As you plan ahead, making sure everything is prepared; you will be amazed at how everything will go on smoothly. Keep all your important documents in a separate file or box, so as not to lose them in the move. Ensure that your old home or apartment is set in such a way that loading your belongings into the truck on moving day will be without hassles. Of a truth, having friends, loved ones, and family members around can really be helpful when moving homes. However, it still doesn’t exempt you from certain costs. You will have to buy packing materials, boxes, rent a truck and other moving equipment. 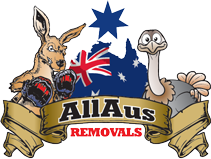 Hiring a professional like Allaus Removals can however be a big savings for those who don’t have a lot of friends or family members around. The job of the professional company is to handle everything on your behalf without you lifting a finger. All the tasks of loading and unloading would be borne by them as you engage your time and energy on other useful things. Conclusively, no matter how excited you are, moving homes can be a herculean task. Keeping these home moving tips in mind will make your household relocation go smoothly, and you will be settled in your new home or apartment in no time. We accept cash, credit cards and eftpos for your convenience. We are based on the Sunshine Coast, we cover All of Australia, however we do mainly concentrate on all of Queensland, NSW and Victoria. We come complete with transit insurance and a variety of other business insurance to suit your every need.